I’ve been a bit lax in the blog posting the last couple of weeks. This is largely because I’ve been mentally trying to compose a post about the Labour leadership campaign that isn’t just a series of video clips of me banging my head against a wall and then weeping gently, probably ending with a section where I jump up and down repeatedly on a picture of Tony Blair’s increasingly haunted face. I’m not sure that a post like that would really count as insightful or, indeed, interesting. However, it’s so clear that generating a coherent opinion about Andy Burnham is basically my moral duty as a left-leaning bod with a blog and an interest in politics, that it’s hampered my attempts to blog about anything else. Fortunately today’s post brought something that absolutely, definitely has to be shared with the universe right now this very second. Actual print copies of my actual novel, Sweet Nothing. Actually printed out, so you can actually hold them, and cuddle them, and lick them. * There are lots of different novelist milestones – your first finished draft; your first finished draft that’s in a state where you could plausibly show it to another human being; your first rejection; your first non-standard rejection; your first contract; your first publication day; your first review; your first horrible review; the first time one of your books gets pirated etc. And in the modern world you can do all of those without ever having a printed book. So having a printed book shouldn’t logically make you feel like any more of a ‘proper writer’ than you were the day before. You’ve still written, edited and promoted the book – all that’s changed is that somebody quite unrelated to you has had the thing printed out and glued together. But still. It’s a book. An actual lickable** book. And it’s very very exciting indeed. A modern retelling of Shakespeare’s Much Ado About Nothing. First novel in the 21st Century Bard series. And you can pre-order the paperback or pick up the ebook for just 99 of your modern English pennies here. *I haven’t been licking them. Honestly I haven’t. *** List also includes David Tennant, other people’s cake, and leading literary agents. For those of you who don’t spend your free time reading articles about corporate disputes in the publishing industry, essentially Amazon (who I’m guessing you’ve heard of) and Hachette (who are a big publisher) have fallen out over new contract negotiations over ebook pricing. Amazon think ebooks should be cheaper. Hachette don’t agree, or, perhaps, just don’t want that to be up to Amazon. I’m simplifying, obviously, and if you’re really interested in the finer details you know where google is, and, if that’s too much effort, there’s some interesting stuff about the changes in the ebook pricing model that led up to this point here. What I am going to bang on about is the way in which this whole hullabaloo** has led to an outbreak of rather bizarre open letter writing. 900 authors have signed this letter ‘to their readers,’ but actually clearly aimed at Amazon, and helpfully popped the whole thing in the New York Times. Amazon have written this letter to their kindle authors, but actually clearly aimed at Hachette, and, even more helpfully, popped it on the interweb for the world to see too (horribly misrepresented Orwell quote and all). Now part of me applauds this approach to doing business. It might have been thought that letter writing was a dying art, but apparently not. What does seem to be a dying art is the ability to address one’s letter to the relevant person and pop it in an envelope. Open letters are suddenly very much in vogue. It’s not limited to publishing industry pricing disputes. Gyrate around on TV wearing a flesh coloured leotard accessorized with 2013’s Robin Thicke and people start writing them. Suggest that people ought not to vote, and people write them. And frankly I’m a bit annoyed. Irrationally annoyed, I admit, but annoyed nonetheless. If you want to say something to one individual or company, write them a letter. If you want to say something to a more general audience, write an article or a book or a blogpost or an exceptionally pithy tweet. If the thing you want to say is primarily aimed at improving your own commercial position then be honest with the universe and write an advert. I’m not quite sure what it is about open letters that winds me up so. Actually, yes, I am sure. It’s the double standard. Open letter writers are trying to have it both ways. When you write something publicly you run the risk that people will think it’s dull, or crap, or will just disagree vehemently with the thought you’ve spent hours crafting and trying to communicate. When you call the thing you’ve written an open letter, you’re giving yourself a get out of being able to pretend it was only really aimed at the named recipient. But it’s not, is it? Because if it was you’d have got a stamp and an envelope and just sent it to them. But maybe you can’t. Maybe the person in question hasn’t given you their address, or email, but that couldn’t possibly be because you don’t know them and they don’t care what you think, could it? Obviously they, and everyone else, need to know what you think. Which is fine. I’m in no position to criticise anyone for the random spouting of opinion at the world. But stop pretending that it’s personal, when it’s just some stuff you reckon. Now that’s probably a tad unfair on the authors who wrote to their readers, and the wider world, about Amazon. They do clearly have a vested interest in the dispute between Amazon and Hachette and in the wider direction of travel of ebook pricing and the bigger question of who now controls the publishing industry. But there’s another element that I find difficult here, which is that it’s starting to feel as though authors are expected to pick a side. I’ve been asked on facebook and other forums for a view and it’s tricky. The bottom line is that Amazon are a big ol’ business. They’ve already killed off a huge section of the physical bookselling market. They’re moving aggressively into publishing. From a commercial point of view, I see no reason why they wouldn’t want to dominate on both the publishing and retail sides of the business, which sounds bad, but they’ve also brought opportunities for new authors (me included) through the ebook market and the explosion in self-publishing which Amazon has massively supported. Big publishers are increasingly risk averse – previously secure mid-list authors have seen their contracts cancelled or not renewed in recent years, pushing many of them, slightly ironically, into Amazon’s self-publishing embrace. For the individual players in the system – readers and authors – any one company, or cohort of companies, having dominance is probably not ideal, but being asked whether you’d prefer your industry to be dominated by one retailer or by a few big publishers is no real choice at all. What I want, as an individual author, is to get good quality books out to readers, and to be able to make a living from doing that. However the current round of chips falls, it feels like it’s getting harder and harder to do that. * Once per day. At best. ** It’s definitely the correct technical term. Stick with me. Occasionally the opposite happens. A book so bad comes along that rather than thinking “Wow,” or “I see how that works,” you just think “How?” How did this get past an editor? How did this get published in its current form? Just how? I am currently reading just such a book, and, rather churlishly you might think, I’m not going to tell you what it is. There are reasons. Firstly, any book review is subjective and I resolved when I started this blog that I would only post reviews that were at least 51% positive. Secondly, I’m a member of more than one professional organisation for authors. I meet other writers. I’m also English and middle-class and therefore prepared to do pretty much anything to avoid potential future confrontation or social discomfort. Anyway, this book is a mainstream published book by a successful “Sunday Times bestselling” author. It’s not a debut. It’s not a poorly edited self-published tome by an enthusiastic newbie to the writing game. Looking at it’s Amazon reviews, it’s a book some people have loved. As I said, my opinion is entirely subjective. However, what I don’t think is subjective is that this book almost certainly wouldn’t have attracted the attention of a publisher or agent if it was a debut. It commits many of the sins that newbie writers pay good money to conference organisers, creative writing teachers and writing consultancies to be warned against. The setup for the story is long, so long, too long, taking up about a third of the book. Then about halfway through the style of the story changes so you’re not reading the sort of book you thought you were at all. The writer headhops – jumps between the points of view of different characters – abruptly and without obvious reason. Headhopping isn’t a writing sin because it’s inelegant; it’s because it’s really confusing for the reader, and as a reader, in this case, I was really confused. And in a sense, so what? A debut novel doesn’t just have to be as good as the general malaise of stuff out there in your genre. It has to stand out. I know plenty of talented writers who had novels rejected not because they weren’t good, but because they weren’t stand out enough to be a debut novel. Some of those “not good enough for a debut” books were then published very successfully as novel 2, 3 or 4. I wonder though whether there’s a point of success where quality control ceases to be a consideration. Reading this book, my natural urge, as a writer, is to get a pen and a notepad and start to make editing and revision notes. It feels like an unedited draft, rather than a finished novel. More than anything I’m confused by that. I don’t understand how the novel got through an editing process in its current form. Maybe the writer is at a level of success where the publisher reckons their work will sell regardless. Maybe the writer knows it ain’t a great book, but was pressured by contractual and commercial obligations to put it out. I don’t know. Lack of editing though, is one of the criticisms used by mainstream publishers to bash the self-publishing sector. Sometimes that criticism is justified, but as a criticism of a whole sector of an industry it’s too much of a generalisation, especially when the big publishing houses are putting out their own, albeit possibly smaller, share of poorly edited material. So that’s my confusion for this week. Feel free to chat about bookly things in the comments – particularly bad books, poorly edited books, books you wanted to chuck across the room. Off you go. That was the throat clearing. Here’s the announcement. I am absolutely beyond delighted to announce that I have signed a contract with Choc Lit Lite to publish my first novel. I’m ecstatic to have signed with Choc Lit – they’re a really forward-looking exciting publisher, with a really good reputation for working with their authors and developing new talent. Waaaaaaah! Obviously I’m a teensy bit excited about becoming a published author, but at the moment the whole thing feels utterly unreal. Fortunately I’ve just spent the weekend at the Romantic Novelists’ Association conference where there were lots of other published Choc Lit authors I was able to poke to check that they were really really real. After they’d got over the poking we even took a big group photo. We don’t seem to have all managed to look at the same camera in this one, and I do appear to be quite huge – there’s a learning point there about not standing at the front when having your photo taken with thin people – but nonetheless it’s a Choc Lit Authors picture and I’m in it! Huzzah! At this point I do need to thank just a couple of people. You have three choices about how to read this next bit. You can: a) take a very deep breath and just rattle through it as quickly as possible; b) do the full-Gwyneth and read the whole thing aloud with appropriate sobbing; c) scan quickly for your own name and ignore the rest. If your name isn’t there, it’s because I’m stupid and I’ve messed up and missed you out – unless I’ve never met, emailed, tweeted, written, phoned, texted or spoken to you in my life, in which case, seriously, what were you expecting? Deborah Catesby, Dawn Hudd, Holly Magill, Candi Miller, Tamara Bolger, Anne Milton, Lisa Bodenham, Kate Johnson, Julie Cohen, everyone who I’ve been on one of Julie Cohen’s lovely writing courses with, everyone I’ve ever taught on a creative writing course, the entirety of the RNA but particularly Melanie Hilton and the NWS readers, Helen Harron, my mum and dad (if you’re reading this in Gwyneth style you probably need to weep a bit here), the Choc Lit Tasting Panel, everyone else at Choc Lit, Tim Butler, Tony Judge, Dunstan Power, Clive Eardley, Taliah Drayak, Polly Robinson, all the RNA Conference speakers for the last 3 years (every last one of them), Katie Fforde, Greg Mosse, Kate Hill, Deema Davidson, Rich Badley, Eva Cubero, Isabel Phillips, all the lovely writers and readers on Twitter, the RNA Birmingham Chapter, everyone who has let me play at being a writer on their blog – a big hand for Nikki Goodman and the Write Romantics, everyone I’ve got pished near in an RNA kitchen – I’m looking at you Immi Howson, Jane Lovering, Ruth Long, Jules Wake, Talli Roland, Sarah Callejo, Jane Tranter, Denise Deegan, Colette Caddle, Brigid Coady and others too numerous and fabulous to list – and finally EngineerBoy for his most excellent services to engineering and mortgage paying, while I work the whole penniless writer vibe. Thank you all. Some of you will know how you helped. Some of you won’t ever read this or even know who I am, but thank you all the same. Right. Gushing over. Time to get bum on seat, fingers on keyboard and actually do this writing lark for real. 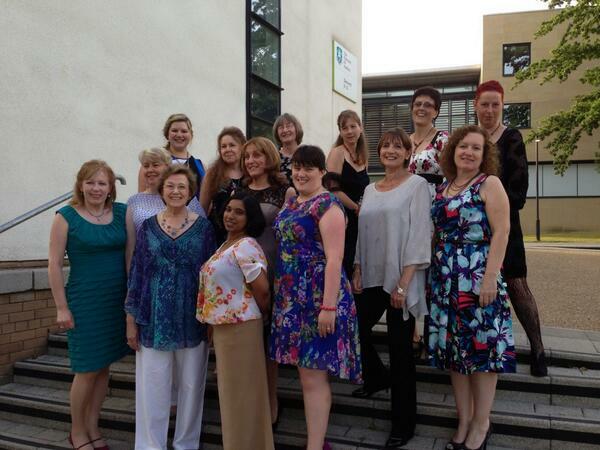 I’ll be back to the blog tomorrow to tell you all about what happened at the RNA Conference this year. Be warned – it will almost certainly involve pictures of shoes.